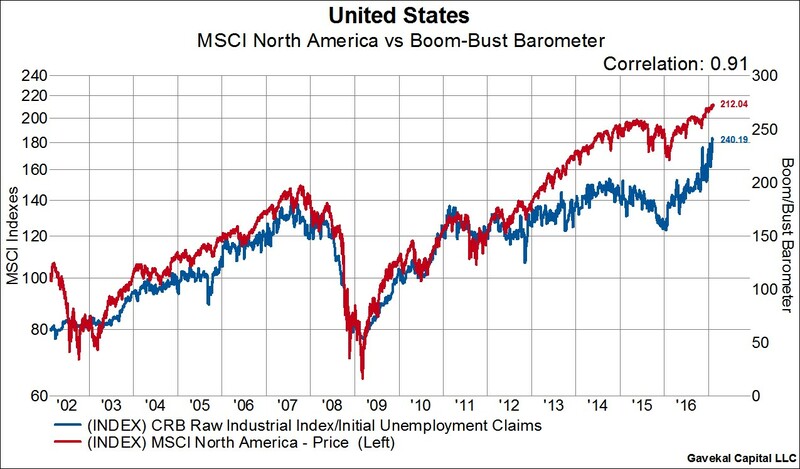 The Boom-Bust Barometer (made famous by Dr. Ed Yardeni) is a simple, but effective, way of avoiding large drawdowns in the stock market. 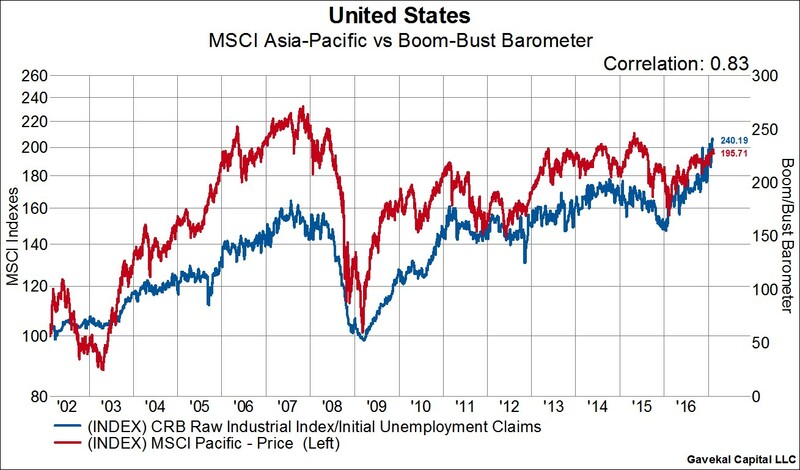 This indicator is calculated by taking the CRB Raw Industrial Price Index divided by initial unemployment claims. 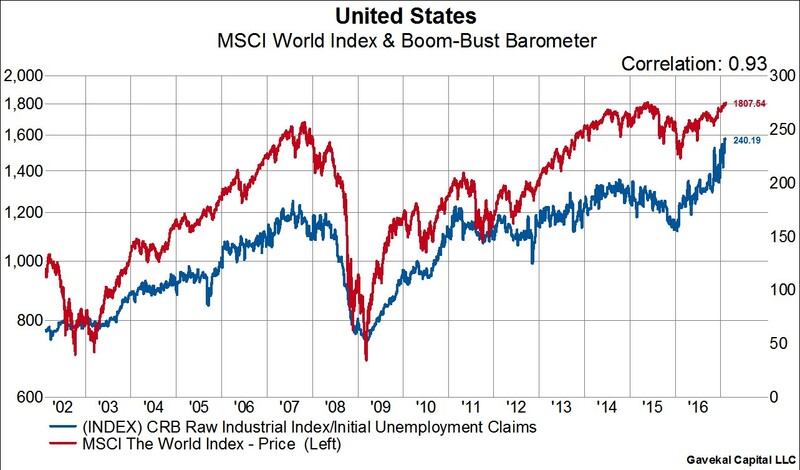 The theory goes that if commodity prices are rising and unemployment claims are falling (thus the indicator is increasing), then economic activity is on sound footing. As you can see in the charts below, the indicator is currently making all-time highs. Additionally, you can see that the Boom-Bust Barometer has had a very high positive correlation to various stock indexes going all the way back to 1966 in some cases. 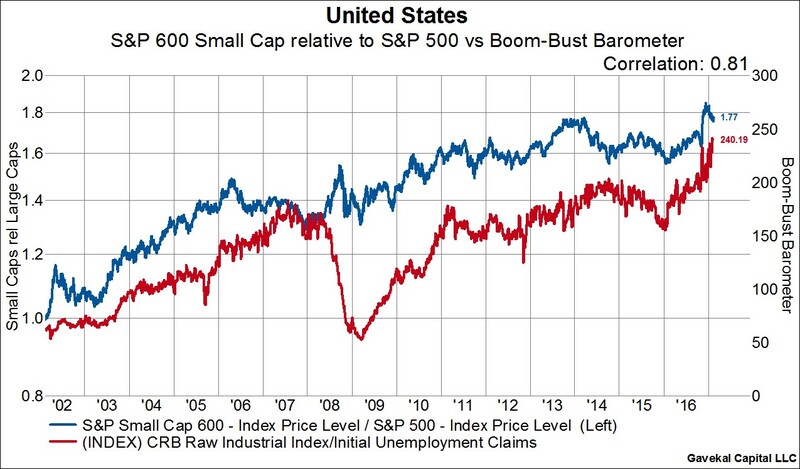 When it is increasing as it currently is, it is very rare to see a major correction in stock prices.